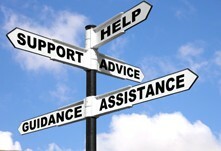 We can usually offer a free initial 30 minute consultation in family matters. This is a no obligation interview with your solicitor and gives you the opportunity to find out where you stand legally in relation to the issues that you are facing. In most family cases we can offer a free initial consultation and we can also offer fixed fees for initial consultations in probate matters or where family court proceedings have already started. You do not need to bring anything with you but it is helpful to try and think about what is important to you and what your priorities are. Your solicitor will ask you questions to gain an understanding of your situation and you will be asked to explain what has been going on. Your solicitor will then give you an overview of legal advice, explain to you what your legal options are and will outline the cost of the various ways of proceeding. It is important that you ask questions and make sure that you understand the information that is being given to you. Sometimes there is a significant amount of information to absorb and some people find it helpful to bring a friend or family member with them to these consultations – we have no objection to you doing this. However we will be discussing personal information so if you do wish to bring someone along for support, then please ensure this is somebody you are comfortable sharing your private information with. We aim to fit people in for appointments within 48 hours of contact.